Helmet mounted displays HMDs are typically used in modern combat helicopters. They enable aircraft flight data to be projected directly into the pilot’s eyes, which removes the need to look around the cockpit for important information and ensures that pilots can focus on safety and mission effectiveness. Our customers design and manufacture some of the world’s most technically advanced flight helmets. 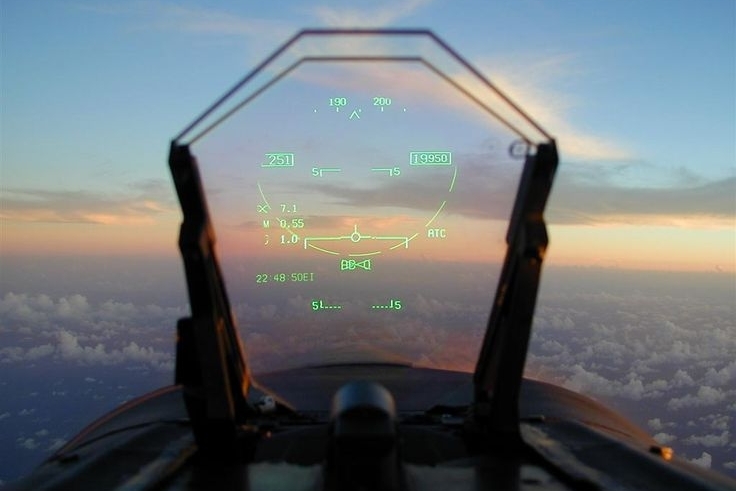 Head up display HUDs enable data to be projected into the pilot’s line of sight, and remove the distraction of having to look down at instrumentation. With 25 years of experience in the design and manufacture of HUDs we’ve produced over 3,000 combiner plates for use in single and dual configurations, and our products are currently flying on 14 platforms worldwide, including in LiteHUD, USMC AV8B, Tornado, Hawk, and M346. Our technologies are at the heart of many different cutting-edge applications, including conductive window assemblies used for de-icing or in early warning display panels, dichroic and stray light filters that help to optimise cockpit displays and reduce glare, and night vision compatible filters, which ensure that displays work in conjunction with night vision goggles headwear.